Seven’s new series Million Dollar Cold Case begins next week. 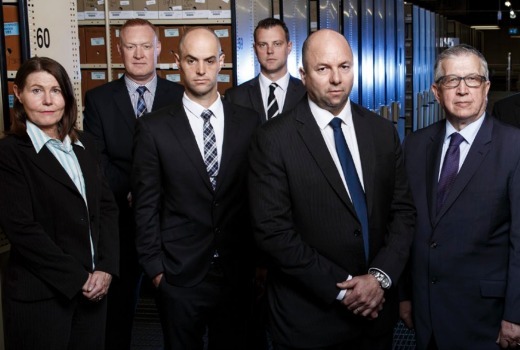 The new series will replace Murder Uncovered on Wednesday nights, profiling 10 cases with the Victorian Police Homicide Cold Case Team is appealing directly to the audience to help crack unsolved murders that carry a $1M reward. “We are of the opinion that these cases can be solved,” saysDetective Senior Sergeant Peter Trichias. “There are some witnesses out there that for one reason or other are reluctant to come forward and we’re hoping the passage of time and the offer of a one million dollar reward will be enough for that person to make a decision and come forward. ““Undoubtedly the most rewarding part of our job is to be able to give answers to the family members and if it takes a million dollars to do that then it is very much money well spent,” adds Detective Sergeant Paul Rowe. In a new concept for Australian True Crime the Homicide Cold Case Team is appealing directly to the audience to help crack unsolved murders. Someone, somewhere, knows who did it. In each case there’s a police reward of one million dollars for new information that leads to the conviction of those responsible for the murder. At the core of every case is a victim without a voice – now the Homicide Cold Case Team is speaking for them. You will hear the evidence, you will see the suspects – you may have the missing piece of the puzzle that will solve the case. The killers are still out there, thinking they got away with murder. It’s up to the viewing public to help bring them to justice. A team of highly skilled investigators will guide you through every twist and turn of these compelling crimes as they interview key witnesses and the victim’s families. You will also hear from the detectives involved in the original investigations and learn why these murders were never solved. Episode one will look at two cases; the murder of a mother and her nine-year-old daughter in their suburban home; and the brutal murder of a hardworking civil engineer and much loved father of two. The police have a message for the killers – you will be caught. 9pm Wednesday March 15 on Seven. What interest does anyone in the rest of Australia have in a show about Victorian crimes? Might rate it’s socks off in Melbourne. Maybe Nine needs to fast track Underbelly ASAP. That’s because it is-they’re hoping people will watch on the offchance that they’ll come up with the required leads for the reward-sad. Well that’s one mystery solved. We now know the identity of the horse which is going to be flogged to death by Seven and Nine for the next few months.